One of the biggest benefits of homeschooling my children, by far, has been my self-education. I can honestly say that I’ve learned more in ten years of homeschooling than I ever learned in all my years in public schools. When you homeschool, inevitably, you will come across topics you never really studied before. This is the perfect opportunity for you, as the mother and teacher, to deepen your knowledge! My children and I have delved into topics that I never really thought much about before – one of my twins has a fascination with birds, causing all of us to become avid bird watchers. Another has been obsessed with dinosaurs since he was 3, so I now know more abut dinosaurs than I ever thought I would! For example – if you are studying ancient history with your children, you can read The History of the Ancient World: From the Earliest Accounts to the Fall of Rome , which is Susan Wise Bauer’s adult version of the Story of the World, Vol. 1. And if you want to get a better knowledge of a science topic, say biology, then this is a great resource: Biology: A Self-Teaching Guide, 2nd edition (you can find all the basic science topics in this series). However, self-education doesn’t have to follow your child’s studies. If you have a particular interest, explore it! It’s good for our children to see us devoting some time to our own learning – it teaches them that learning never really ends. For example – I’ve always been fascinated with all things medieval and Tudor. Castles, kings and queens, intrigue, battles, I love it all. 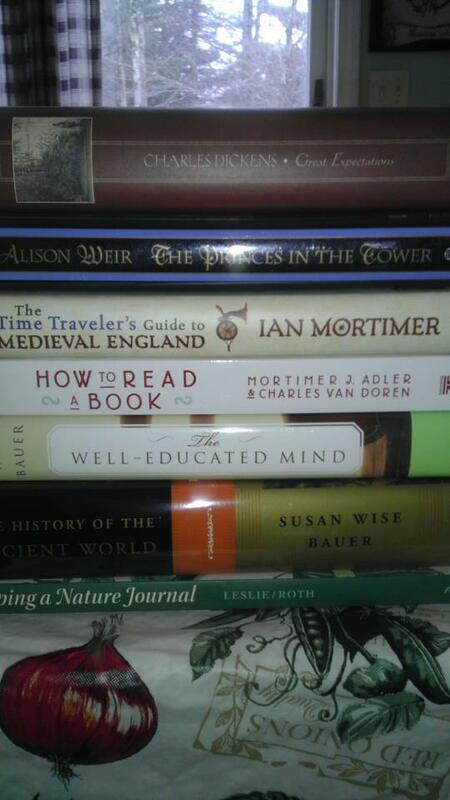 So, whenever I have free time, I read history, historical fiction and watch documentaries. Some of my favorite writers are Alison Weir , Philippa Gregory and Bernard Cornwell . One of my favorite mom-schooling resources is The Well-Educated Mind: A Guide to the Classical Education You Never Had . Susan Wise Bauer lays out a reading plan for adults to cover a variety of classical works of literature, history, drama and poetry. She gives you some tools to help you learn to read heavy material, as well as extensive book lists. Teaching my children has made me an avid reader, given me a good reason to delve into my interests, and taught me so many things I probably would have never learned otherwise. So what are you currently learning?